Dec 24, 2012. Feast of seven Fishes. 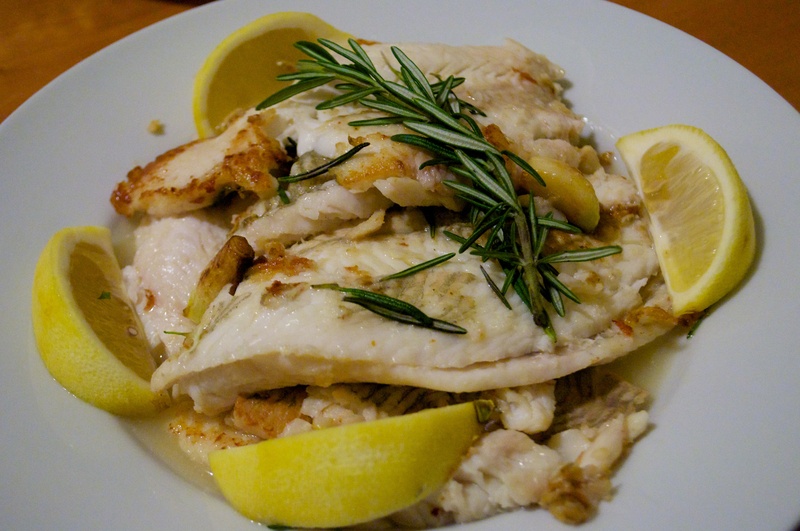 Pan-fried flounder with rosemary and lemon.